Conveyor Belt / Chain is a device which is used for move heavy and bulky materials one place to another place. Belt conveyor is the most economic and convenient mode of bulk material transportation for short to medium distance conveying specially within the plant. All of our temporary elevators are engineered with the upgrades to withstand the specific needs of the harsh environments presented in the various industrial sectors. Conveyors Belts are widely used in manufacturing and warehousing, handling bulk material. Conveyor systems are even regularly used in sorting by postal and freight companies and for air-port baggage handling. These are even used in the automation of different manufacturing procedures. Industries include electronics, automotive, agricultural, food processing, canning, bottling, pharmaceuticals, furniture, scrap metals, and packaging. 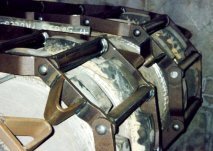 Belt conveyors can be used by Radial stackers for creating large piles of materials such as wood chips, coal or ore. These belt conveyors are located under the piles to carry the materials into the plant for processing. Drag Chain Conveyors are material handling equipments used for transport heavy material in bulk with safety, gently with all-round protection and with minimum space requirements. They transport cement, clinker, limestone, coal and other heavy work. The key is the continuous and efficient material flow, which ensures high availability and first-class profitability. 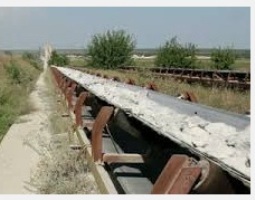 With the help of Drag Chain Conveyors will make work easier, faster and environment friendly with minimum maintenance. Screw Conveyors are used in many industrial applications each and everyday for improve work efficiency conveying heavy industrial equipments. The main function of crew conveyors are transfer bulk material one process to another. The screw conveyors are very cost effective minimum maintenance to operate. Screw Conveyors are designed based on industry standards and are modular in construction providing flexibility for a variety of applications.